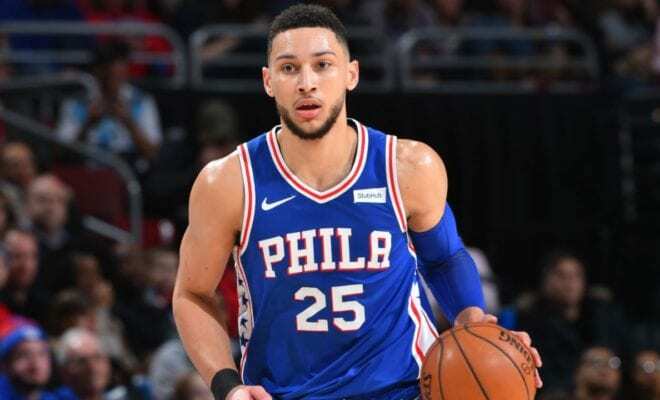 Philadelphia 76ers point guard Ben Simmons is officially Australia’s first All-Star after being selected for February 17’s All-Star game in Charlotte. Simmons wasn’t named as an All-Star starter last week, but was selected by coaches to be on the bench for the Eastern Conference team. The Philly star found out the news on the team bus travelling to Oracle Arena for Friday’s game against the Golden State Warriors, with a mate breaking the news on FaceTime. He was overwhelmed with a bunch of emotions as the achievement of being the first Aussie All-Star hit him, per ESPN’s Niall Seewang. “I’m excited, I’m happy, I’m grateful… I’m excited,” Simmons told reporters. Though Simmons was selected by coaches not the fan, media and player ballets, he still thanked all the people back in Australia who voted and constantly support him. Simmons pointed out that while All-Star selection isn’t his main goal – that is reserved for championships – it is nice to be recognised among his peers. “[Selection] wasn’t necessarily the main goal for me, but it’s one of those goals that if I am reaching where I want to be one day, it’s going to happen. However the 22-year-old wasn’t about to let himself forget what he considers truly important. While Simmons wouldn’t give himself too much praise, 76ers coach Brett Brown – who coached Ben’s father David in the Australian NBL – had plenty to give. “I knew his Mum and Dad before Ben was born,” Brown said before Philadelphia took on the Golden State Warriors on Friday. 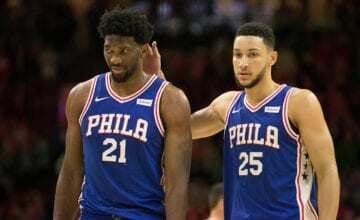 Simmons will join teammate Joel Embiid after the 76ers big man was named a starter last week. The 68th NBA All-Star Game, will see Team LeBron take on Team Giannis at the Spectrum Center in Charlotte on Sunday February 17th.